Be prepared to turn heads in the elegant 2017 Toyota Venza. This four-door SUV offers premium features and ample space for five for any road trip, as well as everyday commuting. Choose from the base Venza, AWD or V6 AWD to fit your needs. Sporty styling for the 2017 Toyota Venza is evident throughout the design from the rear spoiler with LED stoplamp to the sculpted curves. The design is practical as well as stylish with a rear bumper protector and splash guards. Power heated mirrors offer convenience and include blind spot assistance for when you’re switching lanes. Projector-style halogen headlamps and fog lamps brighten your way in this SUV. Sink into the eight-way power adjustable driver seat in the 2017 Toyota Venza. 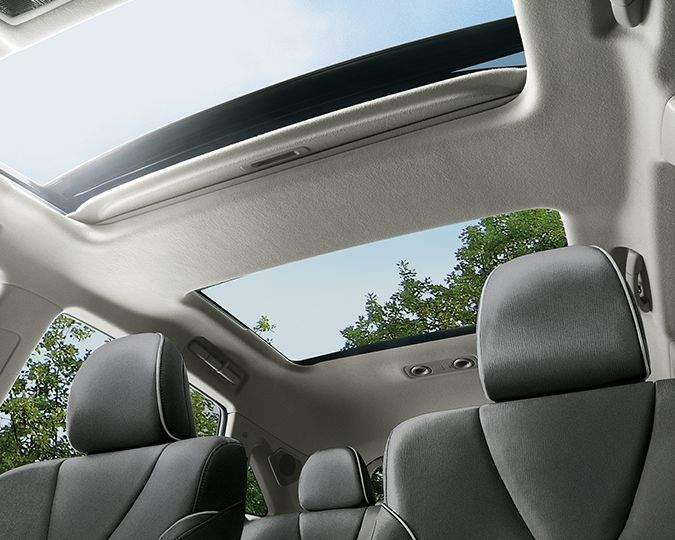 Premium comfort is found with the dual-zone automatic climate control with the deodorizing air filter. This model also features power windows and doors, cruise control, keyless entry and a tonneau cover. 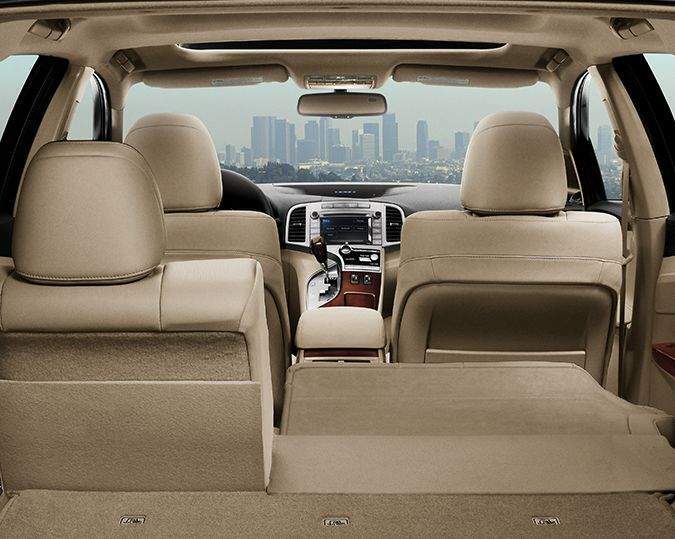 Technology keeps you entertained in the 2017 Toyota Venza with a six-speaker audio system and Bluetooth capability. An automatic sound levelizer system helps provide optimal listening at just the right volume level. Expand your music options with SiriusXM satellite radio. You can also control settings with advanced voice recognition while enjoying easy access to your phonebook and streaming audio. Tech systems on this SUV provide for information and safety as well with a rear backup camera and a 3.5″ LCD display. Protect your 2017 Toyota Venza with the paint protection film that is almost invisible while taking care of an important job. Enhance the style with body mouldings and Bongiovi Acoustics. A remote start provides convenience and ensures your vehicle is always ready to go when you are. Other accessories include roof racks, block heater and towing hitch. With genuine Toyota accessories, you know they are designed to work with your model. 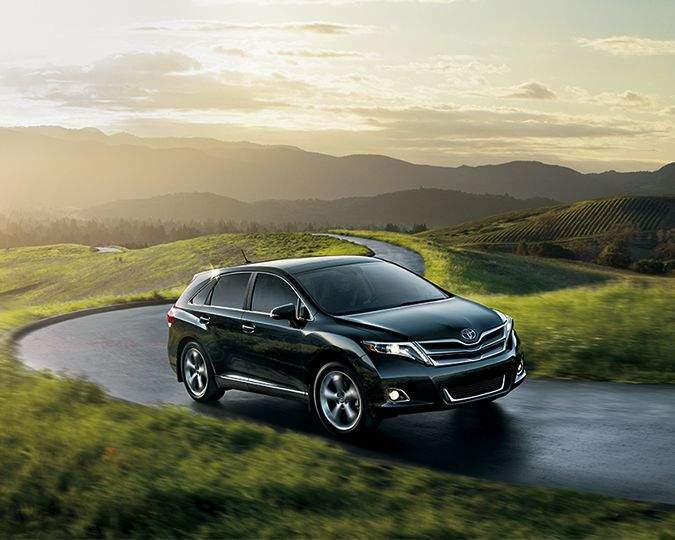 Choose between two engines and either front-wheel or all-wheel drive with the 2017 Toyota Venza. This model provides for impressive performance and efficiency. Paired with a six-speed automatic transmission, you can enjoy precise handling and a smooth ride. A transmission cooler enhances efficiency. Modern systems provide safety and more confidence, such as hill start assist control, traction control and an active torque control system. Macpherson struts, a stabilizer bar and anti-vibration subframe, offers a more comfortable ride on any highway. Exceptional value and safety make the 2017 Toyota Venza a top choice for buyers. Advanced technology keeps you safe in the 2017 Toyota Venza. Every 2017 Toyota Venza is backed by Toyota’s impressive warranty. Modern design provides incredible style and comfort with the 2017 Toyota Venza. Advanced technology focuses on fun and function with impressive safety and performance systems. This is one model that will make you and all your passengers happy for every trip. Stop by Gateway Toyota to learn more about the 2017 Toyota Venza or any of our other incredible Toyota models. Take the time for a test drive as you discover which Toyota model is best suited to your life. With a large inventory and helpful sales staff, you’ll quickly see why Bigger is Better and why you don’t need to go anywhere else other than your local Edmonton Toyota Dealer – Gateway Toyota.